Add one Dilmah Mango, Ginger, Turmeric & Black Pepper Infusion tea bag to a glass of hot water, rest for 5 minutes, remove tea bag and allow to chill. Fill a high ball glass three quarters full with ice. 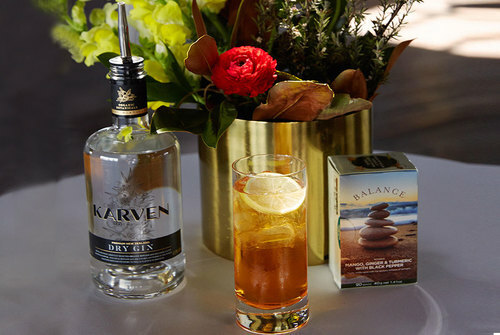 Pour Dilmah’s Infusion, Karven Dry Gin and Stir and garnish with a slice of lime and black peppercorns.